How Far is Aparna Sarovar Zenith? 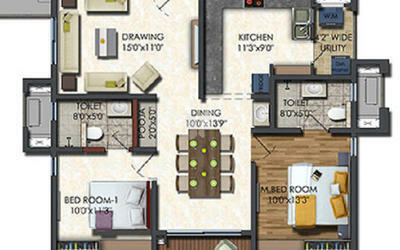 Gated community apartments in Nallagandla offer more than just a home for you and your family. 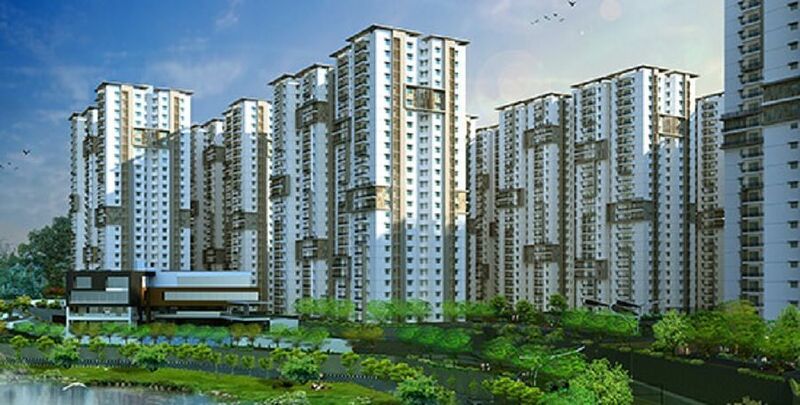 It guarantees top quality services, privacy, security and exclusive access to amenities like clubhouse, swimming pool, Vaastu compliant gymnasium, utility stores and much more. R.C.C. Shear Wall Framed Structure to withstand Wind & Seismic Loads. Concrete Blocks for Non-Structural Members (Wherever needed). MAIN DOOR- Manufactured Teak Veneered Door Frame & Shutter finished with Good Quality Melamine Polish and Hardware of Reputed Make. INTERNAL DOORS- Manufactured Hard Wood Door Frame & Laminate Shutter and Hardware of Reputed Make. UTILITY DOOR- UPVC Door Frame of Reputed Profile Sections with Combination of Tinted Float Glass & Laminated MDF Panel. FRENCH DOORS, if any- UPVC Door Frame of Reputed Profile Sections, with Tinted Toughened Glass Paneled Shutters and Designer Hardware Reputed Make with provision for Mosquito mesh track. GRILLS- Aesthetically Designed, Mild Steel (M.S) grills with Enamel paint finish. (Shall be provided at Extra Cost). EXTERNAL- Textured finish and Two Coats of Exterior Emulsion Paint of Reputed Make. INTERNAL- Smooth putty finish with 2 Coats of Premium Acrylic Emulsion Paint of Reputed make over a Coat of Primer. OTHER BEDROOMS & KITCHEN- 800 x 800 mm size Double Charged Vitrified Tiles of Reputed Make. ENTRANCE LOUNGE- Granite/Marble flooring with Designer False Ceiling. BATHROOMS- Acid Resistant, Antic-Skid Ceramic Tiles of Reputed Make. CORRIDORS- Double Charged Vitrified Tile of Reputed Make. MASTER BEDROOM BALCONY- Rustic Ceramic Tile of Reputed Make. LIVING BALCONIES- Rustic Ceramic Tile of Reputed Make. BATHROOMS- Glazed Ceramic Tile Dado of Reputed Make up to 7′-0″ height. UTILITIES- 1. Rustic Ceramic Tile of Reputed Make. 2. Tiles Dado up to 3′ Height. GHMC along with Borewell water). Dish Washer and Washing Machine provision in the Utility Area. Exhaust Fans shall be provided in all bathrooms (incl. Powder Room & Maid Room Toilet). AC Conduiting & Copper Wiring shall be provided at free of cost in all Bedrooms, Drawing, Living/Dining areas of all unit sizes. Geysers (15 Ltrs capacity) of reputed make shall be provided in all bathrooms (except powder room and maid room toilet). Mixer / Grinders in Kitchen, Washing Machine/Dishwasher in Utility Area. Telephone points in Living, Dining Areas, all Bedrooms. Provision for Cable Connection in Living and Master Bed Room. water levels as per the norms. monitor and also provided CCTV’s inside the lifts. parking signage’s and equipment at required places to ease the driving. Optimisation of Common Area Power Consumption. Solar Hot Water is Provided for All Bed Room Toilets in 24th Floor (last floor only).